Wreaths of whole bay leaves were worn by ancient Greek scholars, a symbol still associated with higher learning today. 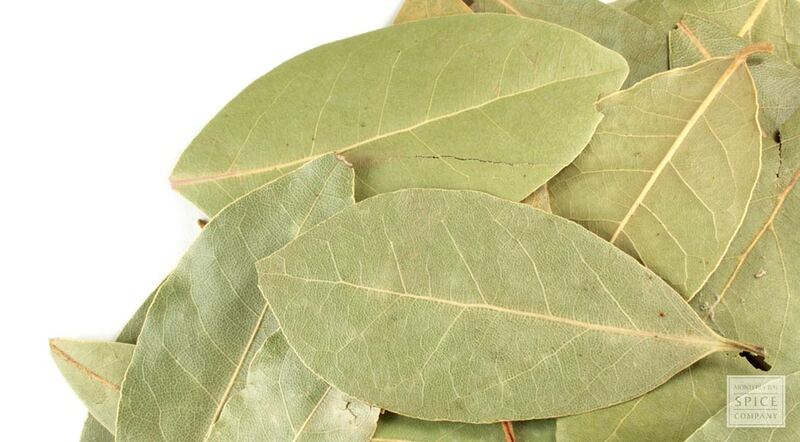 Added to soups and stews, dried bay leaf lends a peppery taste with notes somewhere between oregano and marjoram. why buy dried bay leaf? Full flavor of bay leaf develops after leaves are dried. storage tips Store in a sealed container away from direct heat, light and moisture. appearance & aroma Medium green in color with a slightly peppery aroma. good vs bad Whole bay leaf retains flavor for several years, although color may fade. cosmetic Use in infused oils and vinegars for hair and skin. decorative Combine with pine cones, juniper, allspice berries and other plant materials as potpourri. culinary Add to soups, stews, braised meats, fish and vegetable dishes. household Deters mice, moths and some insects. aromatic May be burned as incense. Certain aromatic compounds are isolated from the herb for use in cough medicine, mouthwash and perfumes. safety Bay leaf edges are sharp and should be removed after cooking. 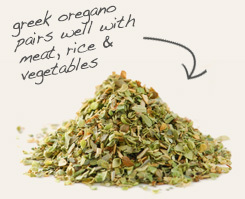 Bay blends with oregano in Mediterranean-style sauces, stews and braised foods. 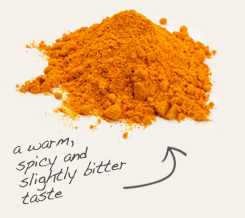 Turmeric and bay are co-components of many Indian and Asian dishes. Bay has a mild but warm flavor, like a cross between oregano and clove. Adds depth to roasted and braised foods, bean dishes and adobo recipes. To the ancient Greeks, bay laurel represented great athletic and literary achievement and was either worn about the head in a wreath or was presented in a ceremony of recognition. The herb was also associated with enhancing memory, so Greek students often wore strands of bay leaves around their heads to help recall information during exams. Bay laurel is a widely used herb throughout the world, but is most commonly found in Indian, Greek, Asian and Middle Eastern cuisines. It is an ingredient in the Indian spice mix garam masala and the French bouquet garni. In Thailand, where it is known as bai kra wan, bay is paired with turmeric, cardamom, star anise, cashews and coconut milk to make Massaman curry.